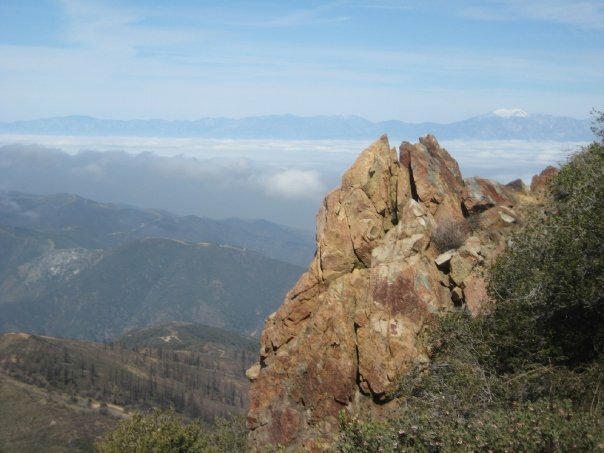 Modjeska is the shorter and pointier of the two peaks that comprise “Old Saddleback”, the feature that is visible from all of Orange County and from as far away as the Santa Monica Mountains and the San Bernardino National Forest. The 5,496 foot summit, like many things in Orange County, is named after the Shakespearean actress Helena Modjeska (1840-1909). 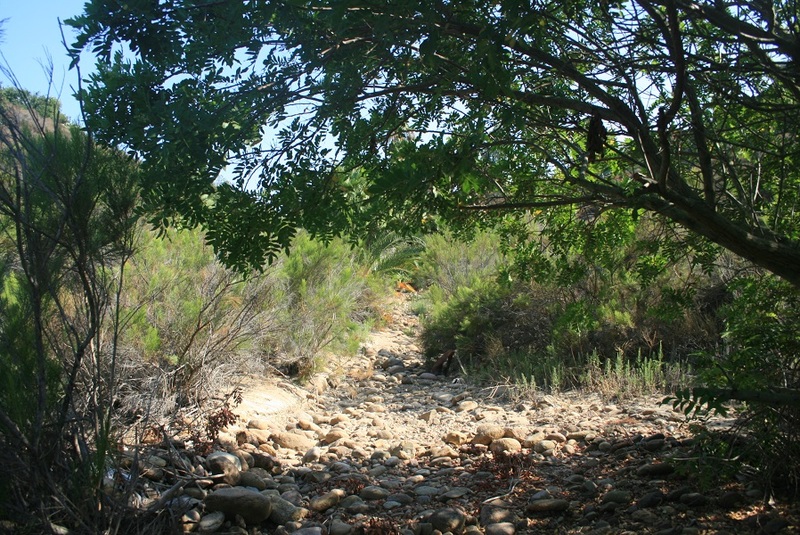 While summer temperatures in the Santa Anas can hit three digits, this trail is primarily on northern-facing slopes, and with an early start on a cool, clear day, the hike can be very enjoyable. If possible, hike on a week day, when the noise from the motorized vehicles that often use the trail is likely to be less. One thing to be careful of however are flies and bugs, which can be particularly annoying during the mid-day hours. The dirt road climbs up the side of Modjeska, giving views of the northern Santa Ana summits such as Bald Peak and Bedford Peak. While the lower portion of the trail is exposed, higher up you enter the cover of oaks and pines. After 4 miles and 1,600 feet of elevation gain, the trail arrives at Main Divide Road. Take a left and then a quick right, past a gate, and then almost immediately pick up an obscure single-track trail climbing off to the left. A short but steep stretch (gaining 800 feet in less than a mile) takes you to another dirt road. Take a left, and walk the last quarter mile, switchbacking twice, to the Modjeska summit. Although Modjeska is shorter than Santiago, the view is arguably better (due to Santiago’s many antenna installations). On a clear day, the visibility includes the ocean, Mt. Baldy, San Jacinto, San Gorgonio and more. Love the southwestern view pic! Thumbs up on the blog!! Not sure what you mean, street address or web address? Any idea if Maple Springs is open for hiking right now after the storms? Not sure – you might need to check with the Trabuco District, or maybe Caltrans. I am up for the challenge of Modjeska this year. I am sure to be rewarded with all you can eat sushi, right???? 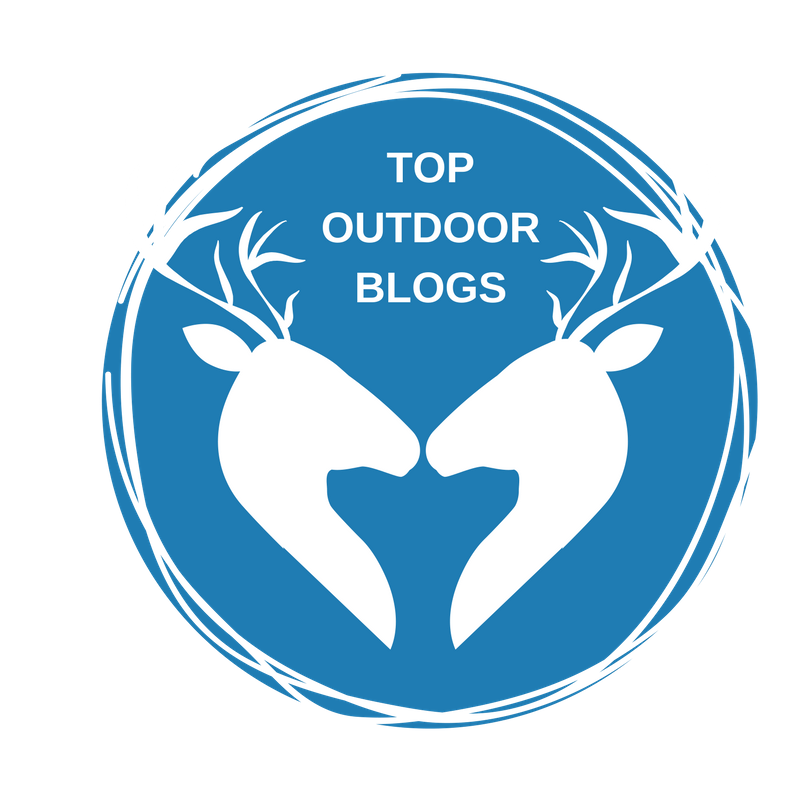 Great blog David! Just wanted to share with others that Maple Springs is open for hiking now. Glad you like the blog. Thanks for the update too – I’m doing Modjeska again today, interestingly, and it’s good to know it’s open. It might not have been a bad idea for me to check first – that didn’t even occur to me. The bug situation was out of control yesterday. I think it is a spring thing and the swarms only got worse as we neared the summit. Bring your back woods super strong bug repellant and a bandanna to cover your mouth and nose if you need it! I am covered in bites when I missed with the DEET. Thanks M Fatale! You saved us from the protein feast. Bugs love me but I came prepared and brought bug spray and bandanas. Thanks again David! We enjoyed this hike very much. It was definitely a challenge since the steep incline started immediately. Funny enough a friend’s friend named Mo joined us and was so slow guess what he was dubbed after the hike?! Haha 🙂 There was a rattler at the peak, scary but really beautiful. Hubby got good pix. Can send you copies if you want. Thanks for reading Kristine – congrats to you and “Mo-Jeska” and your husband and other friends for making the summit. Climbed Modjeska yesterday, July 23rd, perfect trail directions thank you very much. It was very hot and we were the only hikers all day, lots of motorcycles. Our last conditioning hike before we do Half Dome on August 2nd. 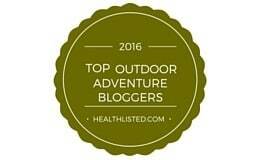 Thanks again for the great trail guides so far I have done four of your long hikes and haven’t been lost yet. We did Mount Baldy on July 2nd and I didn’t look at the difficult rating on that one and it kicked our butts but we made it to the top from Manker Flats in less than 4 hours and hiked the full distance 12.5 miles. It gave us more confidence to do Half Dome. I’ll post when we accomplish Half Dome…. Thanks for reading. Good luck on your Half Dome hike! 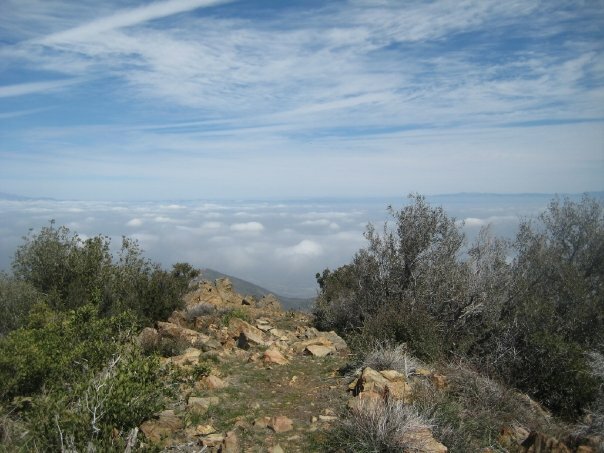 Can you get to Santiago peak from Modjeska peak? I’d like to both the same day. Yeah, the best way is, from the summit, to take the fire road all the way down to Main Divide, and then take a hairpin left turn and continue toward Santiago Peak. I’ve never done this route, but on the map it looks like about a mile and a half each way, with about 700 feet of elevation gain. Thanks for the fast reply. On Google satellite maps, it looks pretty close. What do you think of using Maple Springs road vs. other approaches to Modjeska? Maple Springs, as described on the blog post, is the quickest. You can also go by the Harding Truck Trail, but I think that’s close to twenty miles round trip. You could also use the Holy Jim trail, go to Santiago and then continue onto Modjeska, but again I think that’s close to twenty miles, so Maple Springs is probably the most practical. Thanks for the timely and useful replies. BTW, as a Missing Persons fan, I love the title of the blog. I’m in south OC and have done most of the local trails. Hiked Mt. Baldy vi Ski Hut trail last week and now have sights set on other mountains. 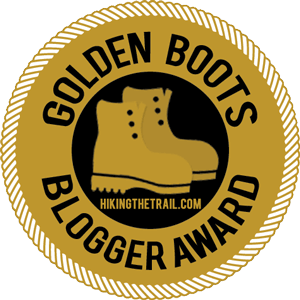 This is a great write up, I want to do this hike this weekend. I’d always heard Modjeska was 15-20 miles so this Maple Springs route sounds very appealing! Thanks again. Thanks for reading – glad you found it helpful! If you follow Main Divide Road all the way up, it’s a little longer, but if you take the cut-away described here, it’s under 11 miles. Have a good hike!